If you binged all of Stranger Things 2 in one sitting, you might regret not stretching it out a little. David Harbour, who plays police chief Jim Hopper, told Variety the upcoming third season probably won't premiere until 2019. The reason, he said, is because the show's creators, the Duffer brothers, need time to write the scripts. "I mean, one of the things that's annoying for fans is that it takes us a long time to do them," Harbour said. "Like, you probably won't get [season 3] until sometime in 2019. But also part of the thing is, like any good thing, they need time. And those guys work so hard. I mean, they just sit in their apartment and write for 12, 14 hours a day." Netflix only recently announced it had renewed Stranger Things for a third season, but it always seemed like a sure thing. The nostalgia-fueled sci-fi series was a massive hit when it debuted on Netflix last year, becoming a pop culture sensation overnight and turning members of the cast into bona fide stars. It was so huge that Netflix bought time during the most-watched broadcast on television, the Super Bowl, to reveal the first trailer for Stranger Things 2. The second season launched in October and although Netflix doesn't reveal information about viewership, Nielsen reported that the first episode brought a staggering 15.8 million viewers within the first three days. All nine episodes averaged 4 million viewers during the same period. Stranger Things was nominated for 18 Emmys this year and won five, and also took home the SAG Award for Outstanding Performance by an Ensemble in a Drama Series. 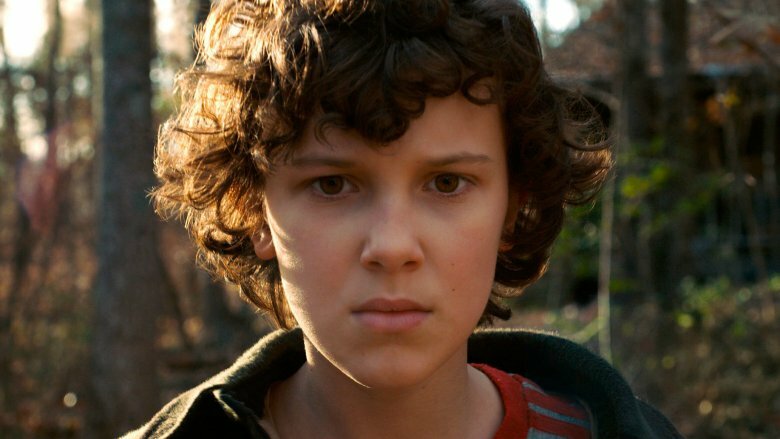 In addition to Harbour, the show stars Winona Ryder as Joyce Byers, Millie Bobby Brown as Eleven, Finn Wolfhard as Mike Wheeler, Noah Schnapp as Will Byers, Caleb McLaughlin as Lucas Sinclair, Gaten Matarazzo as Dustin Henderson, Natalia Dyer as Nancy Wheeler, Charlie Heaton as Jonathan Byers, and Joe Keery as Steve Harrington, among others. Of course, Harbour is just speculating about the timeline, but it sounds about right. Production on the second season began around this time last year, and the Duffer brothers are still writing.